However careful you are with money, there are likely to be times you face financial set-backs, from home or car repairs to losing your job or falling ill. While you can’t always predict them, you can kit yourself out to cope if the worst happens. Saving up for ‘plan B’ can take the worry – and the sting – out of the unexpected. How much to put away depends on what scenario you’re protecting yourself against, but the best blanket advice is: save as much as you can and you’ll be equipped to cope with a range of circumstances. 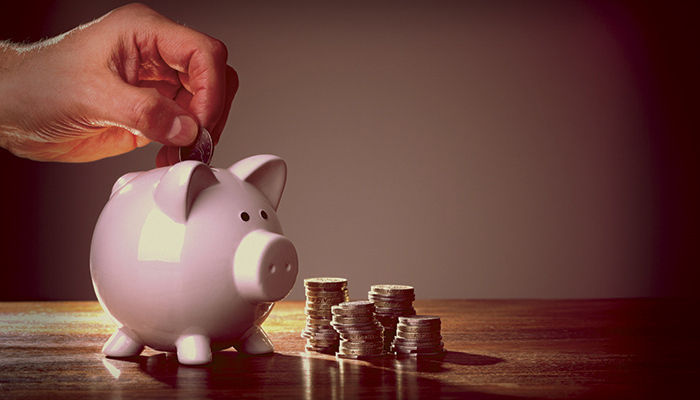 Most ‘emergency fund’ advice recommends setting aside 3-6 months’ worth of income as a back-up – yet most of us have less than a few weeks’ worth in savings. If that’s you, set yourself a goal to work towards: perhaps £1,000 as an emergency buffer. While that sort of figure won’t protect you from unemployment or illness, it could pay for smaller emergencies or essential repairs. 1. Use a budget to see how much you need to cover yourself in a catastrophe, how much you can afford to squirrel away, and where the money will come from. 2. Can’t afford to save? Tweak your spending priorities, increase your income or reduce nonessential costs – and ditch ‘habit spending’. Make lunch instead of buying it every day, choose supermarket labels over premium brands or shop around for better deals on bills – they all add up over time. 3. Write down your savings goal and keep it in your wallet: as well as staying motivated, it’ll prompt you to ask whether new purchases help or hinder your financial dreams. 4. Get the right savings account to keep your cash safe and thriving on interest . You may need to get the money quickly, so look for ‘instant access’ accounts – no waiting 5 days for cash to be transferred, or penalties for withdrawing. 6. Don’t be afraid to start small. Even accumulating two weeks’ worth of expenses may take time, but the sense of pride – and peace of mind – is priceless! This article and much, much more can be found in our new Money Manual which can be purchased here!